Thanks to Stacy at Saving in Akron for compiling a list of the best deals to be found at Giant Eagle this week. 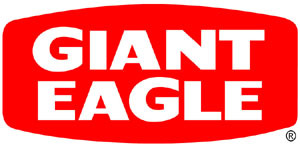 Read more about Giant Eagle’s corporate coupon policy to make the most of these deals! Because Giant Eagle coupon policies vary across different regions, you should verify your local store’s policy on doubling coupons. All matchups include double coupons up to $0.50, and we’ve noted where the final price will be lower for stores that double up to $0.99. $4.81 ea. wyb 3 after coupons and catalina! $5.49 ea. wyb 2 after coupons and catalina! As low as $0.25 ea. after doubled coupon! As low as $1.50 ea. after doubled coupon! Check out Saving in Akron for more deals!